Bybit (website: www.bybit.com) is a platform operated by Bybit Fintech Limited. Use of this Bybit website (“www.bybit.com”) and the Service offered on the Website (“Bybit”) are governed by the terms contained on this Terms of service page (“Bybit”). This agreement entirely constitutes the agreement between the parties. All other information provided on the Website or oral/written statements made are excluded from this agreement; the exchange policy is provided for guidance only and does not constitute a legal agreement between the parties. By accessing and using the Website in any manner, you acknowledge that you have read, understood and agree to the Terms listed. Bybit can change any terms listed in this agreement without prior notice. You agree that you will continue to be bound to the terms listed and all of the conditions and that Bybit has no obligation to notify you of the changes. You understand this is your responsibility and that you have the ability to access and review these terms of service at any time and that you agree to do so. IF YOU DO NOT ACCEPT THE TERMS OF SERVICE OUTLINED IN THIS AGREEMENT, DO NOT ACCESS THIS SITE AND DO NOT USE THIS SERVICE. 1.1. The trading of goods and products, real or virtual, as well as virtual currencies, involves significant risk. Prices can and do fluctuate on any given day. Due to such price fluctuations, you may increase or lose value in your assets at any given moment. Any currency – virtual or not – may be subject to large swings in value and may even become worthless. There is an inherent risk that losses will occur as a result of buying, selling or trading anything on a market. 1.2. Bitcoin and Ethereum trading also has special risks not shared with official currencies or goods or commodities in a market. Unlike most currencies, which are backed by governments or other legal entities, or by commodities such as gold or silver, Bitcoin and Ethereum are unique and backed by technology and trust. There is no central bank that can take corrective measure to protect the value of Bitcoin and/or Ethereum in a crisis or issue more currency. Instead, Bitcoin and Ethereum are as-yet autonomous and largely unregulated worldwide networks. Traders put their trust in a digital, decentralized and partially anonymous system that relies on peer-to-peer networking and cryptography to maintain its integrity. 1.3. Bitcoin trading is probably susceptible to irrational (or rational) bubbles or loss of confidence, which could collapse demand relative to supply. For example, confidence might collapse in Bitcoin because of unexpected changes imposed by the software developers or others, a government crackdown, the creation of superior competing alternative currencies, or a deflationary or inflationary spiral. Confidence might also collapse because of technical problems: if the anonymity of the system is compromised, if money is lost or stolen, or if hackers or governments can prevent any transactions from settling. 1.4. Because on this platform there are derivatives being traded, there are additional risks involved. Under extreme market circumstances, whenever necessary, Bybit could decide to close partial or entire winning positions to be able to close losing positions. Derivatives are settled every day at a stipulated time determined by Bybit. If bankruptcies in a session deplete the insurance fund, any further losses will be covered by profits made by other traders on the platform based on Auto-Deleveraging ranking system determined by Bybit. In such circumstances, higher ranked profitable traders will get their winning positions partially or fully closed, depending on the size of the losses, to cover for other traders’ bankruptcies. 1.5. Though Bybit is only allowed to take such steps after the Bybit insurance fund is depleted. The fund will be used to cover for system losses due to bankruptcies. The current status of the insurance fund is shown in real-time on the “Insurance History” page accessible on the platform. 1.6. Due to the nature of cryptocurrencies, there could occur situations where Bybit takes the step where contracts will be closed prematurely for platform integrity. Users of the platform are assumed to understand those risks. An extreme situation could for example occur during forks and splits of the Bitcoin network. YOU SHOULD CAREFULLY ASSESS WHETHER YOUR FINANCIAL SITUATION AND TOLERANCE FOR RISK IS SUITABLE FOR BUYING, SELLING OR TRADING PERPETUAL CONTRACT. 2.1 You must not use this website in any way that causes, or may cause, damage to the Website or impairment of the availability or accessibility of the Website; or in any way which is unlawful, illegal, fraudulent or harmful, or in connection with any unlawful, illegal, fraudulent or harmful purpose or activity. 2.2 You must not use this website to copy, store, host, transmit, send, use, publish or distribute any material which consists of (or is linked to) any spyware, computer virus, Trojan horse, worm, keystroke logger, rootkit or other malicious computer software. 2.3 You must not conduct any systematic or automated data collection activities (including without limitation scraping, data mining, data extraction and data harvesting) on or in relation to this website without Bybit’s express written consent. 2.4 It is the users’ responsibility to ensure that all usernames and passwords are kept confidential. If there is a loss or compromise of your username and password, it is your responsibility to notify Bybit immediately. Upon being notified, Bybit will initiate a reset of your password. 2.5 All users must maintain the understanding that maintaining a secure trading website is Bybit’s highest concern. Any user acknowledges that they will, at no time, ever knowingly try to undermine the security or integrity of the Bybit website or that of any third-party software provider. 2.6 At no time should any user compromise the Website in a way that would cause interference in the functionality of any part of the Website. 2.7 All users have no expressed authority to use the Bybit website to interfere or access any account except those in which the user has authority to access. 2.8 No authority has been given for any user to upload any material into the Bybit website, and no authorization has been given to download any material from the site except where files have been made available for public download. 2.9 By accessing the Bybit website, you agree that all business conducted for the legal benefit of the users account. i) that if you are located in or a resident of the United States of America or Québec (Canada) , Singapore, Cuba, Crimea, Sevastopol, Iran, Syria, North Korea, Sudan, or any other jurisdiction where the Services offered by Bybit are restricted, you also understand and acknowledge that you are prohibited from holding positions or entering into contracts at Bybit.You understand and acknowledge that if it is determined that any Bybit trading participant has given false representations as to their location or place of residence, Bybit reserves the right to close any of their accounts immediately and to liquidate any open positions. j) sign up for the newsletter. 2.11 Bybit will provide Market Data to facilitate the Users’ use of the Site. Bybit makes NO WARRANTIES about the timelines, sequence, accuracy, or completeness of the Market Data, and you accept and agree that Bybit shall not be held liable for any inaccuracy, error, delay or omission resulting from the Users’ use of such Market Data. 2.12 Bybit reserves the right to revise and/or discontinue any or all Services without prior notice to the Users. 2.13 Bybit makes no guarantee that the Website will be uninterrupted or error free. Among other things, the operation and availability of the Bybit platform can be unpredictable and may from time to time be inaccessible. Bybit is not in any way responsible for any such interference that prevents your access or use of the Website and the Service. 2.14 Bybit reserves the right at any time to verify your identity. 2.15 We may impose certain trading limits before you are required to supply additional personal information about yourself and your transactions. By conducting business on the Website, you agree to cooperate with us in this process and will provide all documentation or information that we may require. 2.16 It is our responsibility to maintain an orderly market and as such we may at our discretion halt trading on the Website due to market disruption or other relevant external events. We exclude all liability for any claimed losses or profits lost as a result of us halting trading. 2.17 Bybit has the right to reverse trades or adjust prices of trades that it regards as being traded at abnormal prices far away from the price level to be expected from an orderly market. 3.1 All intellectual property rights relating to all the material used on the Website including, but not limited to, design, structure, layouts, graphical images and underlying source code belongs to Bybit. All rights are reserved. 3.2 You acknowledge that, except as otherwise agreed between the parties in writing, all intellectual property rights of Bybit and the Website shall remain with Bybit. 3.3 By submitting content to any public area of the Website, including blogs, message boards, and forums, you grant Bybit a royalty-free, perpetual, irrevocable, non-exclusive right and licence to use, reproduce, modify, adapt, publish, translate, create derivative works from, distribute, communicate to the public, perform and display the content (in whole or in part) worldwide and to incorporate it in other works in any form, media, or technology now known or later developed, for the full term of any rights that may exist in such content. You also permit any subscriber to access, display, view, store and reproduce such content for personal use. 3.4 By submitting any content to the Website, you warrant that you are entitled to and have all necessary intellectual property rights over that content. b) matter which it would be illegal or unlawful for Bybit to exclude or limit, or to attempt or purport to exclude or limit, its liability. 5.1 Bybit makes no representation whatsoever about any external or third-party website you may access through the Site. Occasionally, the Bybit website may provide references or links to other websites (“External Websites”). We do not control these External Websites or third-party sites or any of the content contained therein. You agree that we are in no way responsible or liable for the External Websites referenced or linked from the Bybit website, including, but not limited to, website content, policies, failures, promotions, products, opinions, advice, statements, prices, activities and advertisements, services or actions and/or any damages, losses, failures or problems caused by, related to, or arising from those sites. You shall bear all risks associated with the use of such content. 5.2 External Websites have separate and independent terms of service and related policies. We request that you review the policies, rules, terms and regulations of each site that you visit. It is up to you to take precautions to ensure that whatever you select for your use is free of items such as viruses, worms, Trojan horses and other items of a destructive nature. 6.1 At no time should any information provided in these terms or on the Website that should be construed as financial advice. Bybit does not provide any opinion on the merits of any particular investment. Any information provided is for educational purposes to keep the investor informed of prices, ranges, and volatility of Bitcoin and Ethereum. Any decision to purchase or sell is done at the sole discretion of the account holder and as such, the account holder is liable for any loss suffered. 7.1. Our business model and our Service facilitate the buying, selling and trading of Perpetual Contract in an unregulated, international open payment system. The Services we provide are currently unregulated within Australia, Canada, China, Germany, France, United Kingdom, Hong Kong, Italy, Korea, Taiwan, Macau, Switzerland and Japan. 9.1. 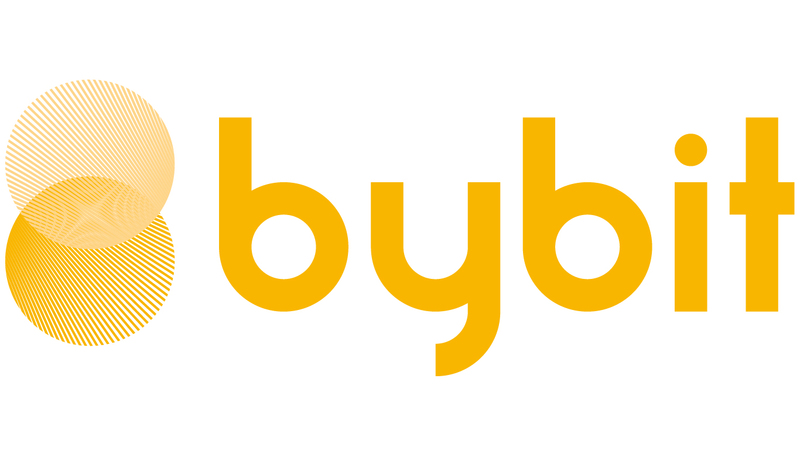 You agree to indemnify and hold harmless of Bybit, its contractors, and its licensors, and their respective directors, officers, employees and agents from and against any and all claims and expenses, including attorneys’ fees, arising out of your use of the Website, including but not limited to your violation to this Agreement. d) any amounts that exceed the fees paid by you to Bybit under this agreement during the twelve-month period prior to the cause of action. Bybit shall have no liability for any failure or delay due to matters beyond their reasonable control. The previous shall not apply to the extent prohibited by applicable law. 10.1. Except as permitted to the maximum extent by applicable laws, in no event shall Bybit, our directors, employees, agents, suppliers, resellers, service providers, or other users be liable for any direct, special, indirect, incidental, consequential, exemplary or punitive damages, including but not limited to damages for loss of use, loss of profits, loss of information, business interruption, revenue, or goodwill, whether on the basis of contract, tort (including but not limited to negligence), or otherwise arising out of the use or inability to use the site, or mistakes, omissions, interruptions, deletions, errors, defects, viruses, delays in operation or transmission or any failure of performance of the site or any information transmitted to Bybit. 10.2. To the maximum extent permitted by applicable laws, in no event shall the aggregate liability of Bybit, our directors, employees, agents, suppliers, resellers, service providers, or other users whether on the basis of contract, warranty, tort (including but not limited to negligence), product liability, strict liability, or other theory arising out of the use or inability to use the site, or mistakes, omissions, interruptions, deletions, errors, defects, viruses, delays in operation or transmission or any failure of performance of the site, exceed the fees paid by you to Bybit during the six months immediately preceding the date of any claim giving rise to such liability. 10.3. If we are unable to perform the Services in the Terms of Service due to factors beyond our control including but not limited to an event of Force Majeure, change of law or change in sanctions policy we will not have any liability to you with respect to the Services provided under this Agreement and for a time period coincidental with the event. 11.1 All calculations performed by the Bybit trading engine and as verified by Bybit are final. 12.1 Bybit reserves the right to seek all remedies available at law and in equity for violations of these Terms, including without limitation, the right to restrict, suspend or terminate your account or deny you access to the Website without notice. 12.2 Bybit has the right to restrict the trading activity of any account in which we deem necessary based upon suspicion of any trading activity that has breached any of the rules listed or implied in these terms. This restriction may result in the cancelling of trades. Bybit is not responsible for any losses incurred by restricting trades, reversing or closing out trades early due to a suspected breach of this contract. You agree to hold the company harmless and indemnify Bybit against any action by you or any third party that might have been harmed by our actions. During the investigation of the conduct of the account, no trades, deposits or withdrawals will be allowed. At the conclusion of this investigation period, Bybit has the right to close out the account without providing any further explanation. 12.3 At any given time, at Bybit's sole discretion, Bybit reserves the right to close your account without prior notice and any remaining assets will be transferred to you at the address on record. 12.4 In addition, at Bybit's discretion, any accounts found to have breached the terms and conditions under any circumstances, including but not only limited to marketing campaigns, Bybit reserves the right to close your account with immediate effect and all remaining assets shall belong to Bybit without question. 14.1 Any failure or delay by Bybit to enforce any of the Terms or to exercise any right under the Terms will not be construed as a waiver to any extent of our rights. 15.1 Bybit reserves the right to change, add or remove portions of these Terms, at any time, in an exercise of its sole discretion. You will be notified of any material changes in advance through your Account. Upon such notification, it is your responsibility to review the amended Terms. YOUR CONTINUED USE OF THE SITE FOLLOWING THE POSTING OF A NOTICE OF CHANGES TO THE TERMS SIGNIFIES THAT YOU ACCEPT AND AGREE TO THE CHANGES, AND THAT ALL SUBSEQUENT TRANSACTIONS BY YOU WILL BE SUBJECT TO THE AMENDED TERMS. 16.1 Should any provision of these Terms be held to be void, invalid, unenforceable or illegal by a court, the validity and enforceability of the other provisions shall not be affected. If any provision is determined to be unenforceable, you agree to an amendment by Bybit of such provision to provide for enforcement of the provisions intent, to the extent permitted by applicable law. 17.1 The Terms are governed by and construed in accordance with BVI Law.